IDEAL FOR PROFESSIONALS... THIS FURNISHED OFFICE WOULD (VERY EASILY) ACCOMMODATE ACCOUNTANTS, FINANCIAL PLANNERS, A MORTGAGE COMPANY, ETC. 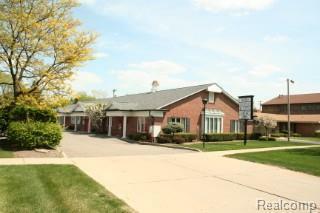 EXCELLENT ACCESSIBILITY TO ALL MAJOR FREEWAYS (M-14, I-275, I 96 AND I-696). ONLY A SHORT 20 MINUTE DRIVE TO METRO AIRPORT TOO! THIS IS THE TIME TO ACT!